Happy Independence Day! We hope your day is filled with barbecues, parades, and precious time with your friends and family. At the end of all your festivities, there’s a good chance that beautiful fireworks will explode over your heads. At J-Tech, we love taking measures to protect and conserve our ecosystem 365 days a year. This week we’re discussing how those fireworks above your head might just be the world’s prettiest pollution. Fireworks are packed with gunpowder, heavy metals, and other toxins to produce their sparkling shower of color. Various metal compounds create the specific colors we see up in the air, such as strontium (red), aluminium (white), copper (blue), barium (green), and rubidium (purple). Another metal compound, cadmium, is used as a universal colorant that works for a wide range of fireworks. Cadmium is a known human carcinogen, which means that some of the fireworks are quite literally exploding with cancer causing toxins. Essentially, fireworks are full of chemicals, toxins, gunpowder, and other harmful ingredients that then explode and shower over our land, water, and our bodies as we watch. 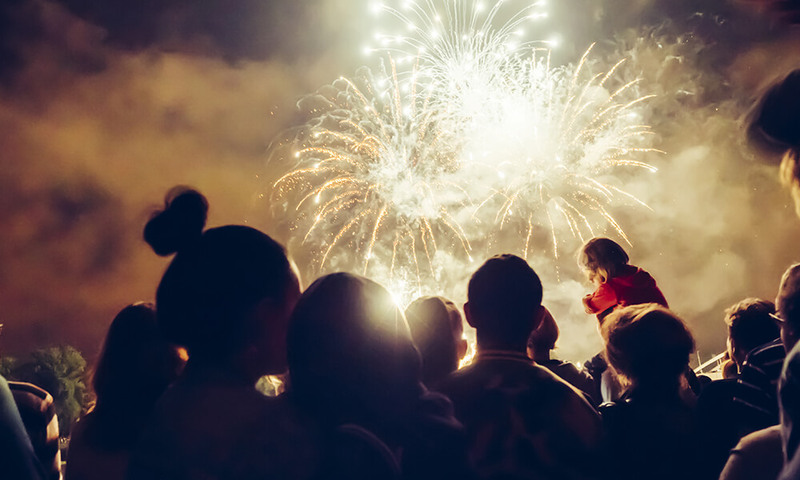 Fireworks cause extensive air pollution in a short amount of time, leaving metal particles, dangerous toxins, harmful chemicals, and smoke in the air for days. Some of the toxins in fireworks never are able to fully decompose and can stay in the environment for decades, continuously poisoning the air around them. Fireworks can also pollute public water supply systems, leaving the water full of the same harmful chemicals that are fluttering through the air. Not only does this mean that you might be drinking those chemicals, but our wildlife will also consume the contaminants. There are many efforts people are taking to help counteract the harmful effects of fireworks on a large and small scale. For example, many small shows are using other methods of entertainment and celebration other than fireworks. Methods such as lasers, hot air balloons, or other simple celebration traditions are great ways to help save the environment while still enjoying the evening. On a larger scale, companies and larger firework shows are making changes to their traditions in an effort to reduce pollution. For example, Disney began using compressed air to launch fireworks in 2004 at Disneyland in California, reducing the amount of smoke particulates in the air and perchlorates in the water. If you’d be just as content with a bonfire, parade, pool party, or other less-toxic tradition, consider opting out of fireworks this year. However, we understand fireworks are an important part of many family’s celebrations, so we understand removing that tradition from the day might be a nonnegotiable option. If fireworks are a must, consider limiting yourself on your private show. Choose a few large fireworks rather than a hundred smaller ones. Consider opting for green fireworks or fireworks with less color so they emit less perchlorate contamination in the water and air. Lastly, try to limit your fireworks displays to the 4th instead of opting for a week-long extravaganza. From all of us here at J-Tech Solar, we hope you have a safe, fun, and bright Independence Day. 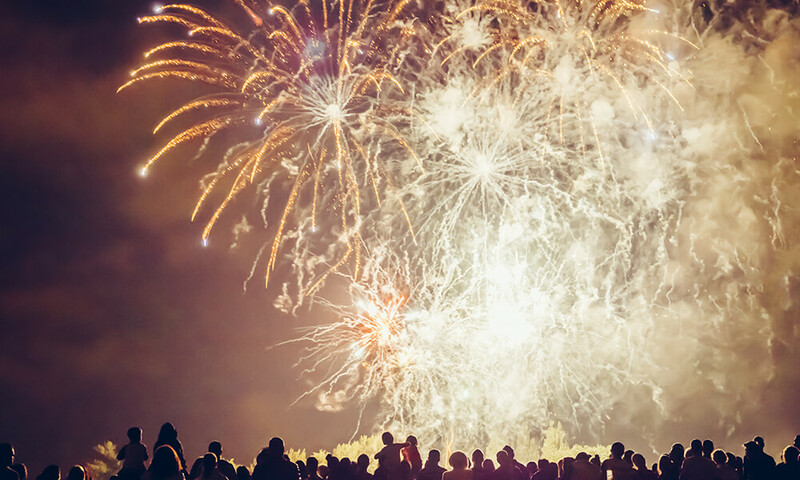 If fireworks are a must in your celebration but you want to make other eco-friendly decisions for our great American soil, get in touch with us today to chat more about how solar power might be right for you.